The proposal on Garstang Road includes the redevelopment of an overall site which contained a corner pub and carpark to the rear. The scheme aims to create 36 over 55’s apartment's in a 4 storey block to the rear of the site, with associated parking and landscape scheme. The corner block will contain a retail scheme at ground floor and office accommodation on the first floor. Parking facilities are shared with the residential accommodation. 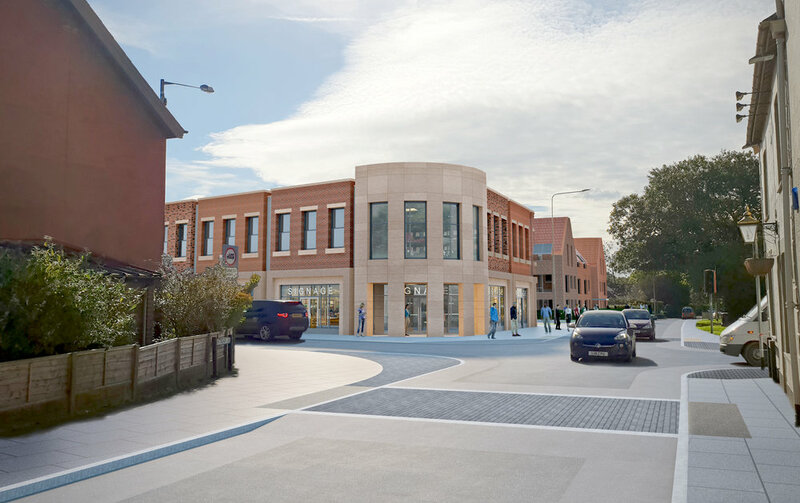 The material proposals contain a majority of various tones of brickwork, but also contain a stone style appearance to the corner block and shop frontages. This provides a close material link to the render/stone appearance seen elsewhere on the streetscape. The proposal is currently in for planning.